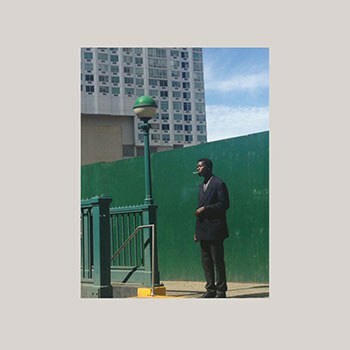 Jay Daniel blazes his own trail on forward thinking, innovative electronic album. The legacy of the Detroit techno scene casts a very large shadow over any emerging artist from Detroit. Artists such as the Belleville Brothers and latterly Jeff Mills and Carl Craig loom large over the Midwestern city and, for many the music they created and the path they forged, still defines the city’s sound. Inevitably, with such a rich musical history, it can be difficult for new artists to get themselves noticed. There is an expectation for new artists that they pay due reverence to the techno scene that blazed such a trail in the '80s and '90s. Subsequently, even greater tenacity and spirit are required to break cover and carry the baton laid down by the fore bearers of the scene.Occasionally an artist will emerge unencumbered by any notion of legacy. An artist who does things on their terms, with their eyes firmly locked on the future. Jay Daniel is that artist and one for dance music fans to get very excited about. Broken Knowz is Daniel’s debut release for Ninja Tune offshoot Technicolour. In interviews, Daniel has discussed the importance of a new renaissance in dance music in the same way that techno proved revolutionary in the 1980s. In recording his debut and in looking to redefine his sound, Daniel has looked for new ways to be innovative. The inspiration came from picking up his drumsticks again and retiring to his mother's basement. This sees Broken Knowz signaling something of a departure for Daniel and for the scene in general as he shifts away from programmed drums and beats to a more organic live drum sound. The result is a much more human album that challenges the norms of the techno genre and gives it a character all of its own. Daniel sets his stall out from the start with the beguiling “Last of the Dogons”. What makes it so striking is the slow build of organic instrumentation. It begins with sleigh bells and a simple, hand clapped rhythm before an oscillating, chiming riff struts in to add intrigue to the languid groove. “Paradise Valley” provides another heady mix of fluid drumming and leisurely keyboard motifs. The synths are allowed to bubble and pop, continually anchored by the rich percussion. On both of the opening tracks, Daniel demonstrates how adept he is at incorporating elements from other genres including soul, funk, and Motown. These influences become more evident the deeper you dig and characterize an artist who has no interest in being defined by one single genre. It is not as though Daniel has abandoned his roots altogether, rather he has reinterpreted them to his own ends. “Nikki” is more dancefloor ready, containing a more familiar, thrumming, techno pulse, underpinned by tribal drumming. He exhibits his ability to shift textures from one song to the next whilst still maintaining the drums as an anchor. “1001” juxtaposes the organic and computer generated beats, sounding like a perfect mix of the past and present. It is something that Daniel clearly wants to emphasize, coming across like a conversation between two sides of his brain. In a way, this is Daniel, the Detroit native paying respect to the techno pioneers that cleared the way for artists like him but doing so on his terms. The use of more computer generated sounds continue into “Squeaky Maya”. The song features the prominent motoric thud of a drum machine as synths cascade and low-end keyboard notes fight for room. Before the mood can become too suffocating, it relaxes its grip with the consistent thump of the drum machine acting as a ballast. “Shake It Down” slowly builds euphoric keyboards that gently tease their arms around you before enveloping you in a warm sonic blanket. Suddenly, it all begins to malfunction as conflicting, stuttering beats shatter the mood. “Knowledge of Selfie” is a monumental epic destined for classic status. Over eight minutes Daniel coats groovy keys and languid soul vibes atop marching, encroaching drums. It ends unexpectedly with testy synths that fizz and hiss like the incessant buzz of a swarm of wasps. It feels innovative in the same way that DJ Shadow layering live drums over samples felt on his landmark album Endtroducing. The album concludes in the same way it started on“Yemaya” where unhurried beats and steady, propulsive drumming collide. Daniel uses the beat as a counterbalance that allows him to experiment with loosely assembled sounds to form a seductive aural collage. Once again Daniel’s displays complete confidence in his own ability. It would be wrong to simply categorisze Daniel as a techno DJ. Based on the evidence of this album he is, first and foremost, a musician. One who is able to take dance music into new and interesting directions. Daniel clearly understands the importance of Detroit to dance music but there is no evidence that he is daunted by the rich house music heritage of his birthplace. There’s no baggage here, only complete confidence in what he’s doing, firmly focused on the future. He has moved the Detroit sound on enough to sound genuinely fresh without ripping up the rule book. At times it is reassuringly familiar but he has spun sounds in intriguing ways exhibiting Daniels unique, enigmatic vision as an artist. His self-assurance and belief have led him to craft one of the finest dance albums of this or any other year.